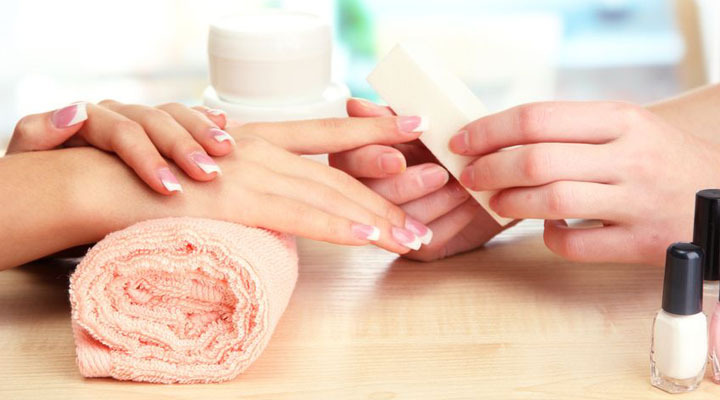 Our nail salon is staffed by experienced, fully qualified, insured and creative nail technicians. With a range of manicures, pedicures, nail extensions and gels. This treatment is great for those with extra hard/stubborn skin on the feet. Use alone or add to any pedicure. All of the above with either a hydrating marine mask made of mineral clays or paran wax, both rejuvenate and soften hard skin. Includes a soak in the foot spa, exfoliate, hard skin removal, massage, cuticle work, file and paint. Same as above with an exfoliate and paran wax or heated mitts and mask. Includes nail soak, massage, cuticle work, file and paint. File, paint and cuticle work.